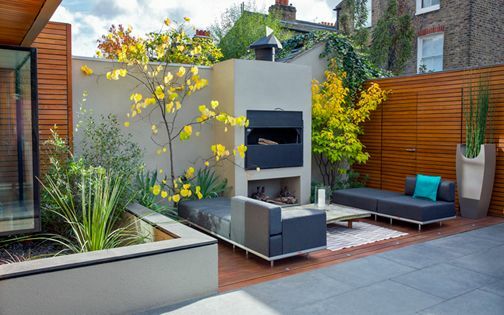 Entertaining alfresco forms a central element for our clients in their large Wandsworth garden, where a multilayered modern design layout caters specifically for this purpose. 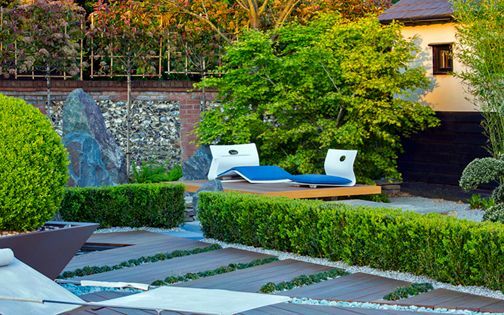 A sunken barbecue area, aromatic herbs and built-in concrete benches produce dynamic continua within a highly sociable outdoor space, while three linear Box hedges sculpt this spacious garden into manageable zones, leading the eye across an Iroko deck and expansive new Yorkstone paving. 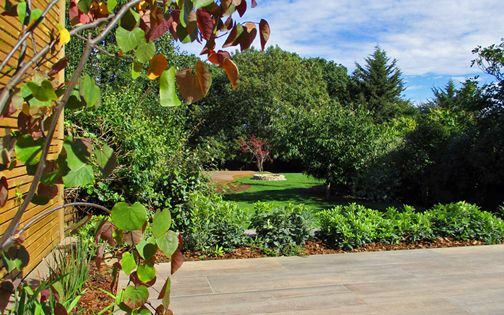 Irrigated raised beds sustain a diverse flora spectrum under large-scale trees. 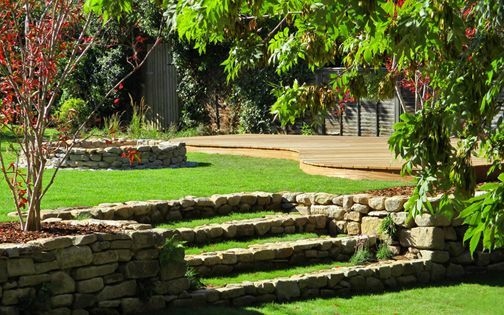 This large back garden forms an elongated rectangle, surrounded by mature woodland trees, where a multifunctional design maximises depth pivotally – defining distinct areas, while increasing luminosity and extending continual use. 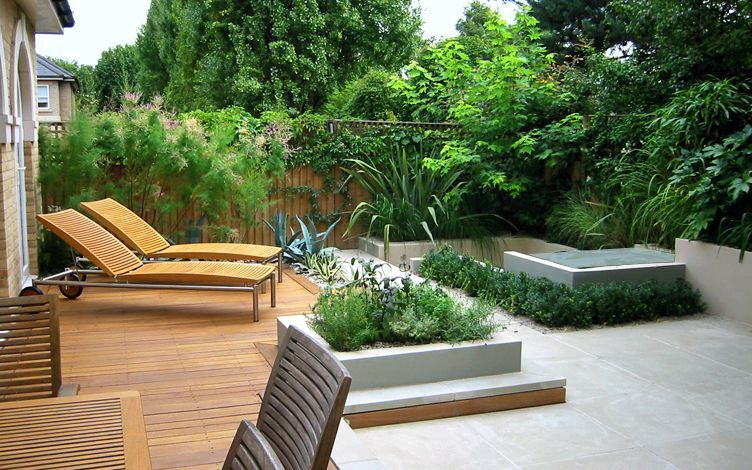 Various socialising zones augment our clients' laid-back lifestyle, amid a contemporary family garden, with four individual intimate outdoor spaces which include a dining patio, an informal lounge, a sunken cooking hub and a sunbathing deck. 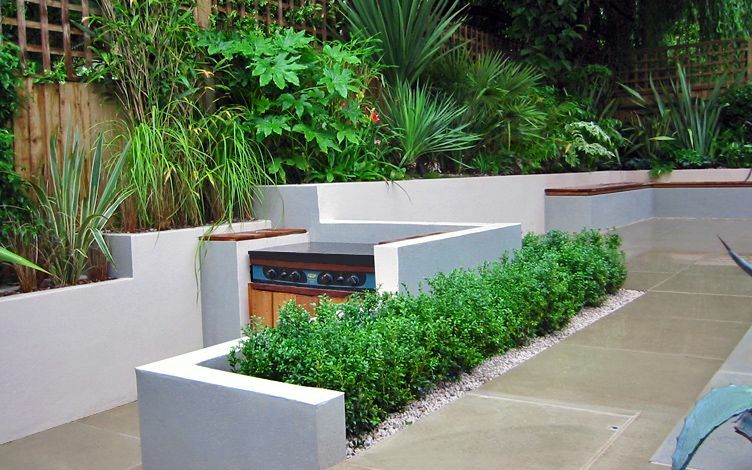 The built-in barbecue is positioned at the garden's far end to distinguish cooking and seating zones. 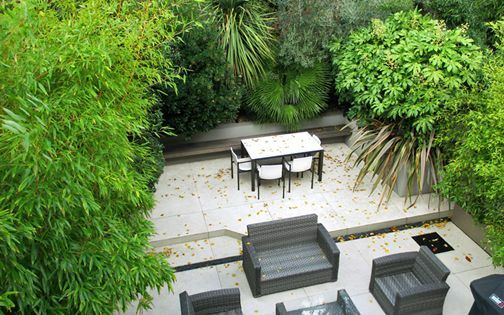 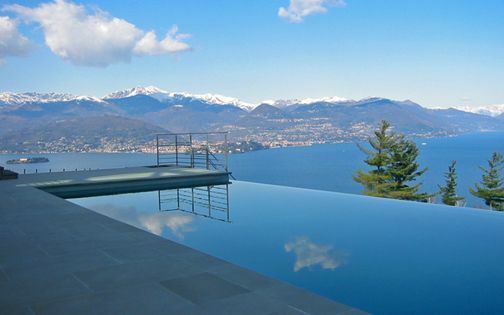 The exterior space is now on a par, in line and in sync with its modern residence, ready for entertaining guests. 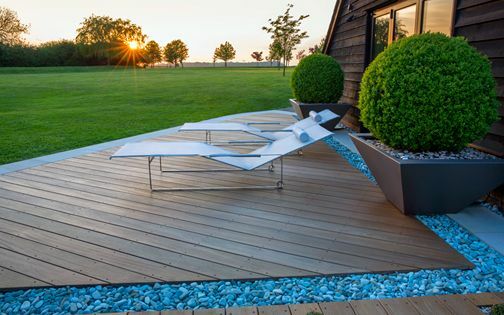 By elevating Iroko decking to the living room's doorsteps, indoor-outdoor fluidity is fused with matching materials, patterns and levels. 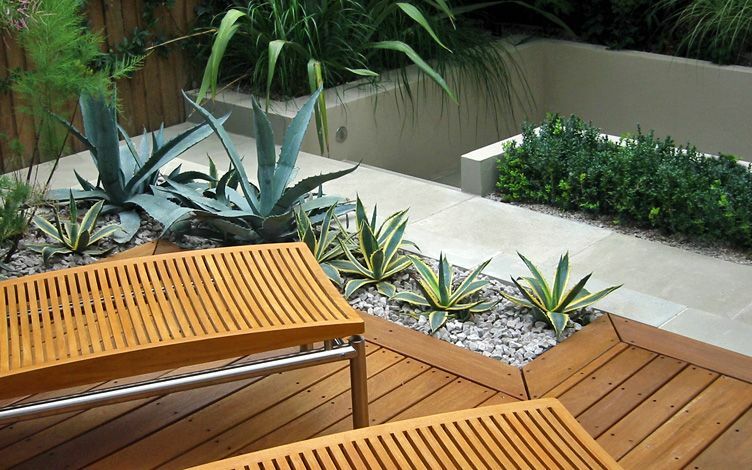 This outline design generates a stepped level change, layering much-needed topography into a flat garden terrain. 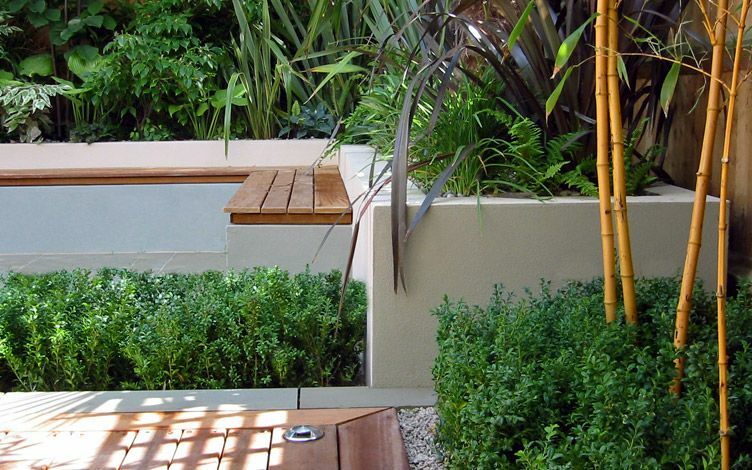 We utilised integral Box hedging to create distinction and movement in a minimalist approach. 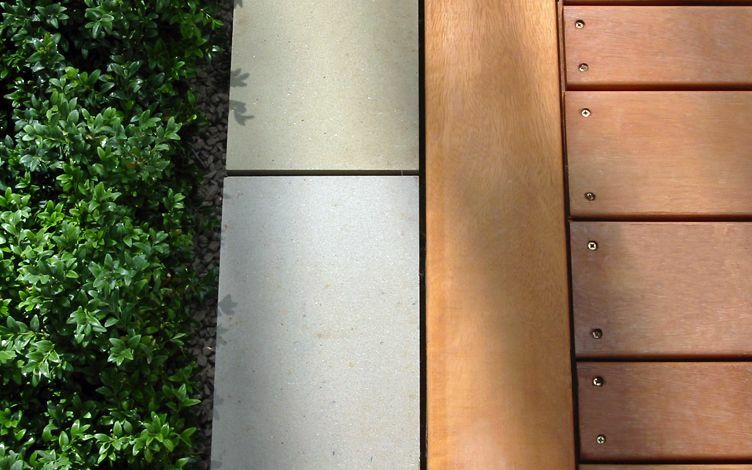 A short and wide hedge trio forms a well-defined, relaxed matrix, and increases spatial depth. 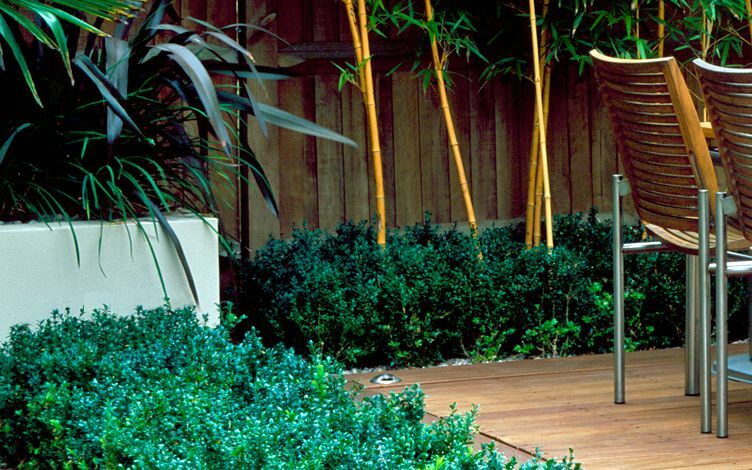 Where privacy is pivotal to seclude the dining area, smooth tall Golden bamboo canes emerge through a linear Box hedge design. 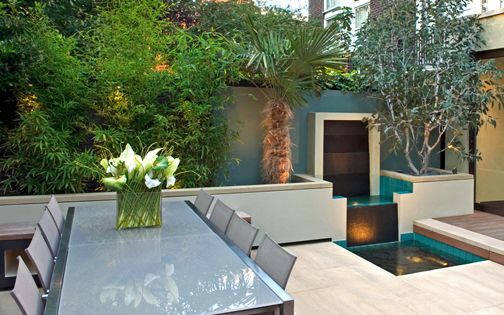 This sense of enclosure humanises the outdoor space with balanced scale, in a juxtaposition we frequently integrate into our modern courtyard gardens to enhance seclusion and tactility. 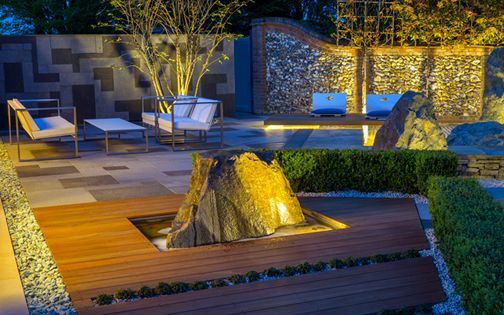 The streamlined step edge defines its upper deck section, and leads to spacious patios, where bespoke sandstone, quarried at sizeable 850 x 850mm outlines, sustains optimal scale and reiterates a grand house facade. 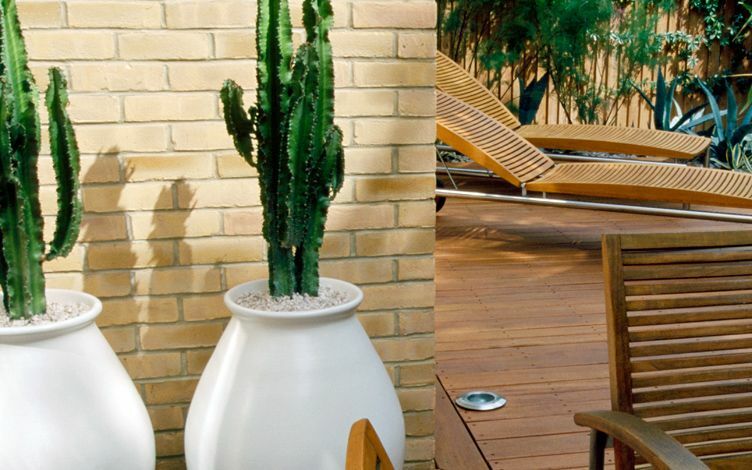 The neutral, minimalist paving tones echo the kitchen tiles' character and brighten a shaded lounge and its built-in bench. 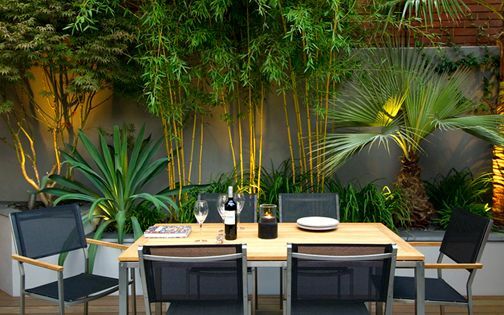 The furniture's stainless steel details enhance reflection, portrayed further with integrated recessed lights. 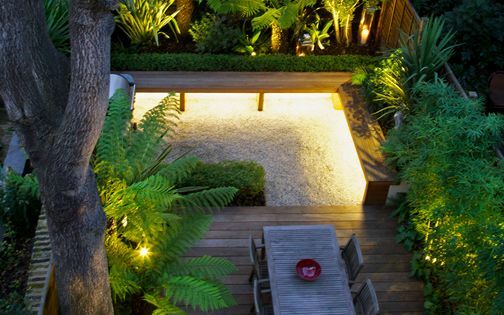 Since the garden is shaped into four areas, its outdoor lighting is also segmented to modify the ambience according to use, while a digital software system enables managing its various settings anywhere within the home. 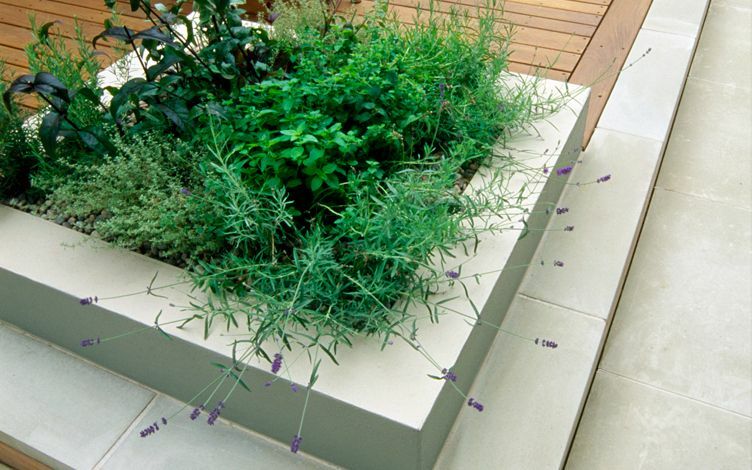 The deck's corner is anchored by a low patio raised bed; situated within a suntrap close to the house, fresh culinary herbs are picked while heading towards a sunken barbecue. 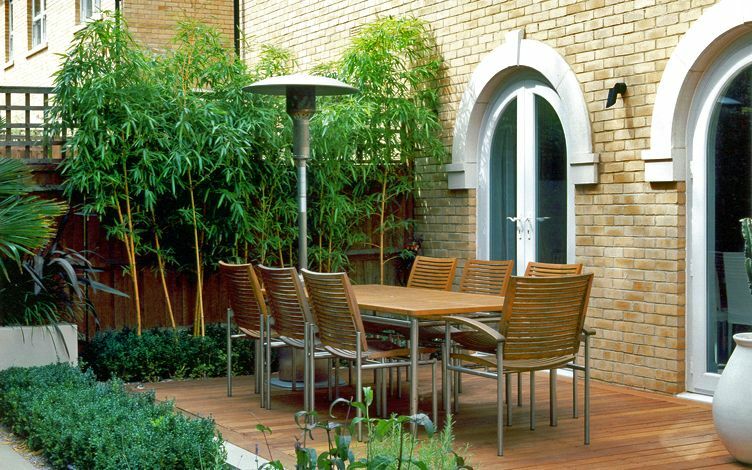 An alfresco cooking area was carved into the garden's far corner to enable a vista of the entire space, secluded from other activities. 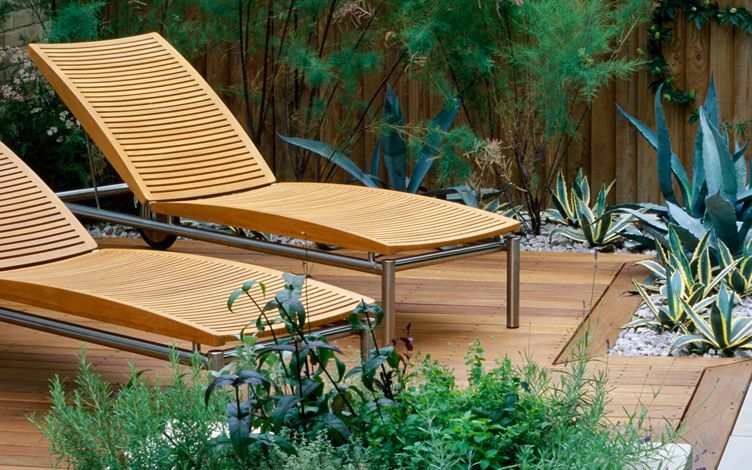 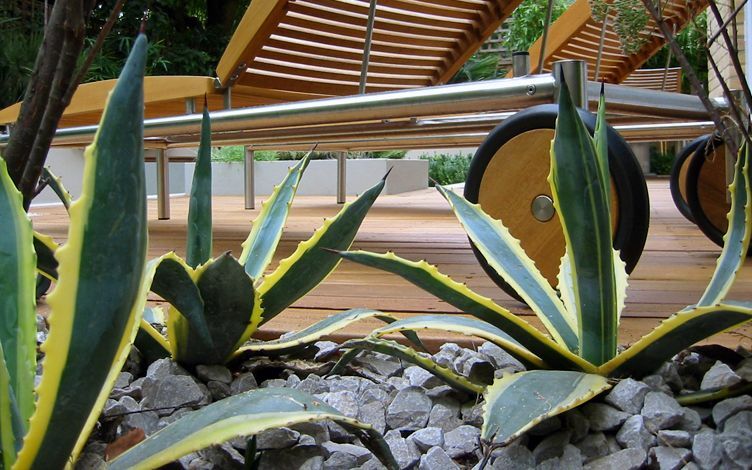 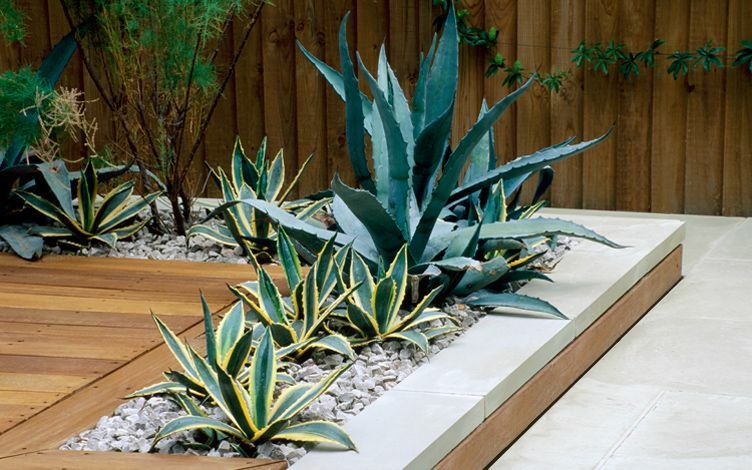 The sun deck features a coastal planting scheme, outlined by a tall Tamarisk vale and an arid, desert Agave bed. 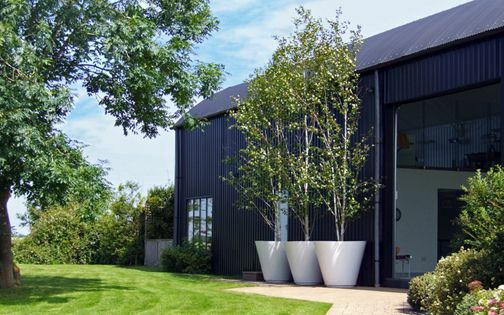 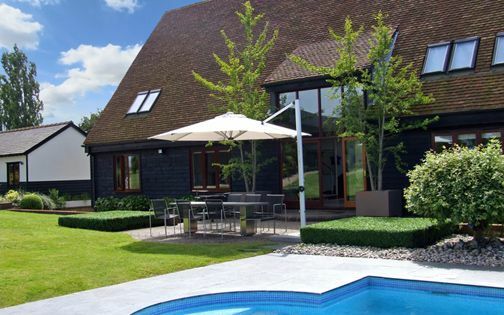 With our clients' penchant for stylish interior design and state-of-the-art technology, this bespoke scheme forms a connective and highly liveable modern town garden – well used by its owners.